Born in Toronto in 1962, Karin always considered herself an artist. 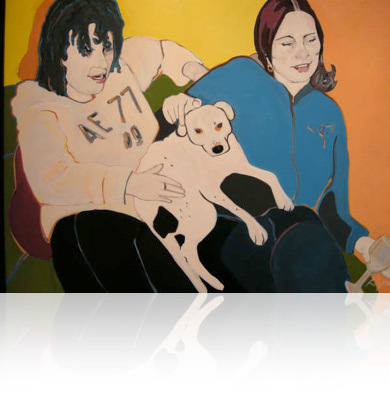 She followed her passion to York University in 1980 and graduated in 1985 with a Bachelor of Fine Arts. The human figure was most prominent in her work, although she also painted still lifes, animals and nature. Through her bold use of colour and expressive brush work, Karin captured the emotions of her subjects, the beauty of nature and the complexity of the human spirit. She passed away in June 2011 of cancer. Check out this Globe and Mail article "Riverdale’s walk of frames" here.